There are many myths associated with depression. As mentioned in the article “7 Myths of Depression,” people often misinterpret depression as a phase that is not serious and will fade over time. Another misconception is that depression only affects the weak and lonely, and that medicine can help eliminate all forms of depression just as medicines can help eliminate one’s allergy symptoms. 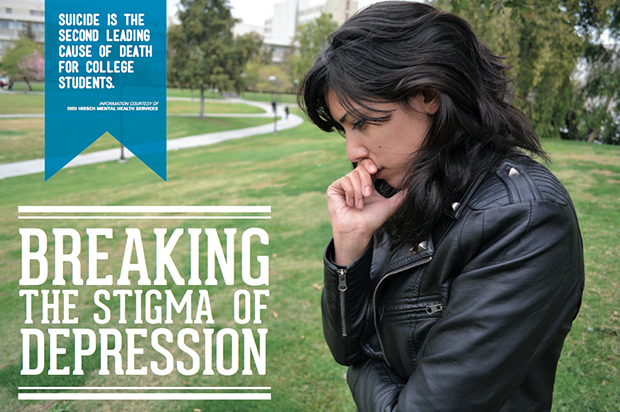 According to the American College Health Association’s (ACHA) National College Health Assessment, a 2011 nationwide survey of college students at two and four-year institutions found about 30 percent of college students reported feeling “so depressed that it was difficult to function” at some time in the past year. “I think most students neglect to care for their mental health because they may think that they don’t need it, and that they won’t benefit from it,” said Marina Teo, 23, master’s student in marriage and family therapy. According to the National Institute of Mental Health (NIMH), many college students who struggle with depression are not seeking help. They may not know of any resources, or they may believe that treatment will not work for them. Some students do not get help because they think their symptoms are nothing out of the ordinary and others worry about being judged or being made to feel weak if they seek mental health care. CSUN psychology professor, George Lough, Ph.D., believes that the way in which people are approaching depression is changing. “The stigma around seeing a psychologist or psychiatrist and, if necessary, taking medication, is decreasing as people become more aware of the value of psychotherapy and the significant positive healing effects a combination of therapy and medication can have,” Lough said. The ACHA claims stress in moderation may actually be beneficial, claiming that managing stress rather than eliminating it all together may be healthier for students overall mental well-being. According to the ACHA, when stress is associated with a physiological response, the stress reaction may actually help increase a persons adrenaline so that they may meet daily challenges efficiently. Stress is a double-edged sword; without consistent rest periods while under stress, irregular habits may begin to surface. Diet changes, sleeping patterns, fatigue and anxiety are common occurrences among college students who mishandle stress. 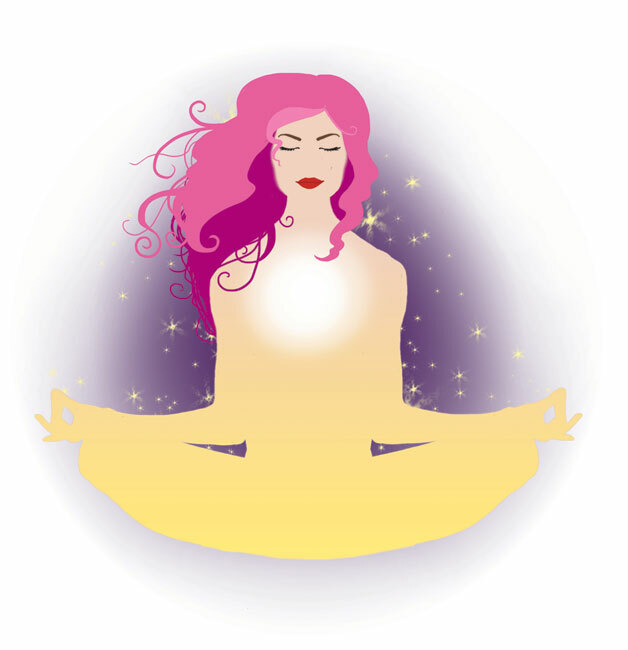 Stress may also take physical form and cause weakness, digestive problems and immune system vulnerability. Stress may take an emotional toll and cause irritability, confusion and even cause panic attacks from an increase in anxiety. According to the Anxiety and Depression Association of America (ADAA), severe anxiety can be attributed to years of uncontrolled and inconsistent stress levels. Inefficiently managing stress is just one factor that allows the appropriation of anxiety levels in one’s mindset to increase, potentially causing one to become emotionally unstable. In 2011, the ADAA’s national survey found more than 62 percent of students who withdrew from college with mental health problems did so because of an anxiety disorder. CSUN alumni Ata Tousi, 25, has struggled with anxiety and it has affected his academic career in more ways than one. “Depression and anxiety has affected me to the point that I’ve gone part time in attendance with school for a few semesters,” Tousi said. Along with taking antidepressants, talking with a mental health professional and taking advantage of mental health resources available at CSUN, Tousi was successfully able to earn his bachelor’s degree in 2013. According to Students Against Depression (SAD), in order to help keep stress and anxiety levels down, it is important to be mindful of what one eats. These days, it is expensive to eat healthy, especially when students have their tuition fees, books, and monthly rent and utilities to pay for. Typically, full-time college students may find themselves at a drive-thru, or snacking on whatever may be available regardless of its nutritional content. College students who are on-the-go do not always have the luxury of time and money to invest in healthier food choices or a gym membership. Some students eat too little or too much without much consideration of the consequences. “Not eating, or not eating properly and lack of exercise lead to a chemical imbalance,” said Gabriel Seabra Cendoroglo, 22, music major who is currently battling depression. According to SAD, eating regular, healthy meals and snacks boosts a person’s metabolism, which allows for effective use of energy. Being conscientious of the food’s ingredients is beneficial because what people consume affects their mood. For example, according to the SAD, Tryptophan, an amino acid, is essential for the production of serotonin – the brain chemical that helps regulate mood. Tryptophan can be found in poultry, oil-rich fish, beans, baked potatoes, oats, nuts and seeds. If a college student dines on dollar-menu, preservative-packed deep fried chicken on a regular basis, it may have an adverse effect on their overall well-being, and consequently, could affect their sleeping and studying habits. A study by the SAD found what you eat can cause low mood and could, in turn, cause anxiety and depression, which can go full circle to poor dieting and poor body image. Creating healthy eating habits, exercising regularly and sleeping on a consistent schedule can help decrease the chances of becoming chemically imbalanced and susceptible to anxiety and depression. Doctors are not certain whether depression is passed on through genetics or whether the mental illness is purely psychological and physical. There are only mere suggestions that depression is caused by both nature and nurture. According to an article in the Stanford School of Medicine titled “Major Depression and Genetics,” it is not certain a person may inherit a gene that causes depression. According to the study, if someone has a parent or sibling with major depression, that person probably has a 20 to 30 percent greater risk of developing the ailment compared to the average person who has a mere 10 percent chance. Heather Morgan, a crisis line manager for Didi Hirsch Mental Health Services Suicide Prevention Center, said their clinics receive more than 4,500 calls, text messages and online chats a month. The center averages 150 to 160 calls every 24 hours. 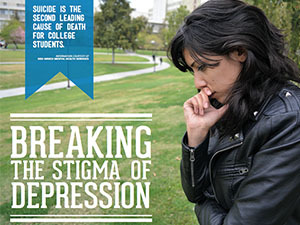 “Suicide is the second leading cause of death for college students,” Morgan said. College students in particular have the additional stress of academic life. “If my depression and anxiety went undiagnosed, I would not have reached the successes I have,” Tousi said. Andrea Elzy, coordinator for peer education programs at University Counseling Services (UCS), said their programs focus on real issues that affect students their friends and their families. Programs on campus include Joint Advocates on Disordered Eating (JADE), The Blues Project, a depression and suicide awareness program, and Project Discovering Alternatives for Today’s Encounters (DATE). 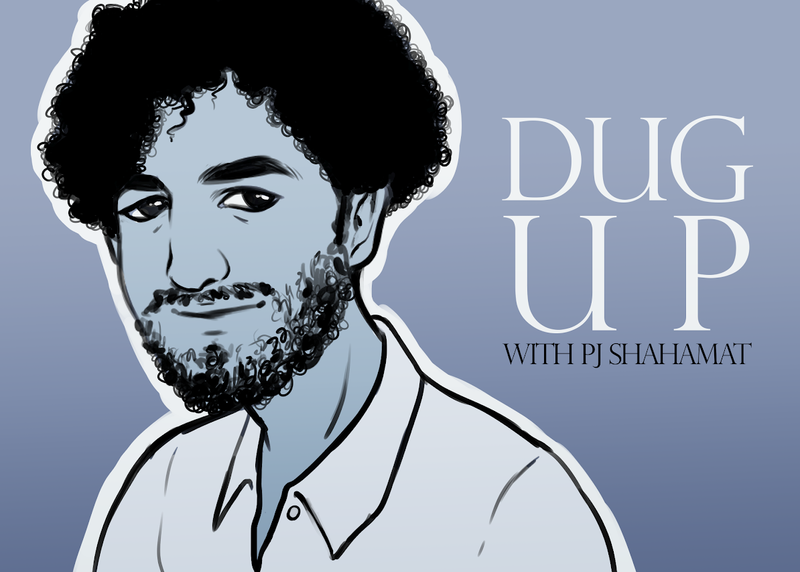 “It’s important that students know what resources regarding mental health are available on campus,” Elzy said. 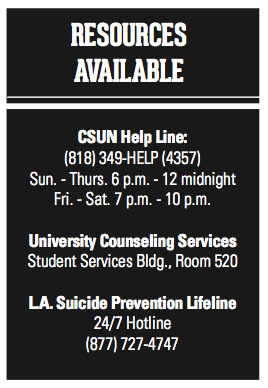 UCS offers eight free sessions to speak with a counselor per academic year. Students can schedule appointments in person, over the phone or online. UCS is located on the 5th floor of Bayramian Hall. “Therapy can help individuals learn better coping skills when dealing with stressors from school, work and personal life,” Teo said.